Raymond Parker was the founder of the NZ School of Clinical Hypnotherapy. Ray worked in the counsellor role for almost 60 years and throughout his career, had been a Pastoral Counsellor, a High School Counsellor, a Private Counsellor, and had been involved with Clinical Hypnotherapy for over 30 years. In the first 25 years of his working life he saw large numbers of clients for pastoral, educational vocational problem counselling, however there were times when he became disappointed with the number of times that he needed to see clients for appointments and he felt there had to be a better way of increasing successful outcomes in better timeframes. Through a tragic accident that happened to Ray’s wife, he saw the results that she achieved through hypnosis, and he became determined to find out more about hypnosis. 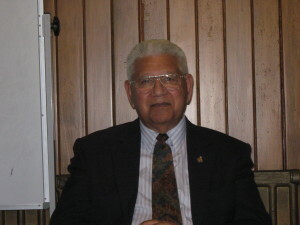 As there were no suitable hypnotherapy training institutes available in NZ, he sought training in Australia and after gaining qualifications in Sydney and then in the United States, he immediately left the teaching profession and set to work operating a Hypnotherapy and Counselling Practice in Auckland. Ray’s previous experience over the twenty five odd years previously working with people in various counselling situations stood him in good stead, and he found his counselling skills were able to help him in understanding the nature of the client’s problems. However in order to affect the change in behaviour that the clients wanted and needed, in a rapid timeframe, this is where hypnosis came in, and by being able to access the client’s subconscious mind, in conjunction with counselling, Ray was able to see rapid and successful change taking place. Over the years since, he worked with thousands of clients in a variety of situations and have had the privilege of seeing so many clients have great success with Clinical Hypnotherapy. Ray then felt there was a need to establish a professional hypnotherapy training establishment in New Zealand. Firstly he travelled overseas for six months, visiting hypnotherapy schools and colleges, and then after visiting 30 countries, he came back to New Zealand and started the NZ School of Hypnotic Science in 1984, which is now the NZ School of Clinical Hypnotherapy. And along with his daughter, Donna-Maree, the school has moved from strength to strength and recently has incorporated a new course in the curriculum available for people already working within the counseling profession who wish to add Clinical Hypnotherapy to their scope of practice. Since Ray’s passing in April 2014, the school continues to provide education for its current student base and welcomes new students who wish to upgrade their learning in this valuable area. It is the pledge of the NZ School of Clinical Hypnotherapy to train, to Diploma Level, professional clinical hypnotherapists who are equipped to work with clients in New Zealand. To honour this pledge the School will teach only such techniques that will result in deep hypnotic trances for clients so as to assist them to change their behaviour according to their desire. The School will promote the concept that hypnotherapy is not an alternative to traditional medicine but rather complimentary to the established medical and health modalities. The School will deliberately discourage the use of hypnosis on a stage or anywhere else for entertainment purposes, regarding hypnosis as a very useful tool to assist people to bring about changes in their lives but not to become the subject of ridicule. The School will endeavour to turn out well trained graduates who will assist in the establishment of hypnotherapy as a viable health modality, respected and trusted by the public and the traditional health modalities in New Zealand.